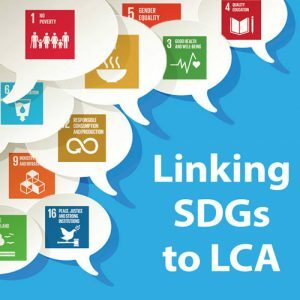 24-26 April 2019 Life Cycle Initiative’s new project “Towards an updated Guidelines for Social LCA – Scale up and road testing of Social LCA & Social Organizational LCA (S-LCA & SOLCA)” is organizing a face-to-face workshop to consult stakeholders on the revision and use of the Social LCA guidelines in April 2019. If you are interested to participate in the revision process please email Elisabeth Ekener to be added to the mailing list. 26-30 May 2019 The Society of Environmental Toxicology and Chemistry (SETAC) Europe 29th Annual Meeting will feature a variety of training, networking and learning opportunities on the theme “One Environment. One Health. Sustainable Societies.”. One overlying track of the meeting will be “Life Cycle Assessment and Footprinting” and will feature several interesting sessions which revolve around Life Cycle Thinking. 1-4 September 2019 The LCM (Life Cycle Management) conference series is one of the world’s lead¬ing forums for environmental, economic and social sustainability. The focus is on practical solutions for the implementation of life cycle approaches into strategic and operational decision-making, whether in science, industry, NGOs or public bodies. TOWARDS SUSTAINABLE FUTURE is LCM2019’s draft title and the conference will consider the current challenges and prospects in life cycle management. 24-26 September 2019 The American Center for Life Cycle Assessment (ACLCA) is hosting its 3rd LCA conference between the 24th and 26th of September. This year, the event will take place in Tucson, Arizona. It is a great opportunity to connect with experts from academia, industry, consulting and, government and NGOs on the latest innovations in life cycle thinking.